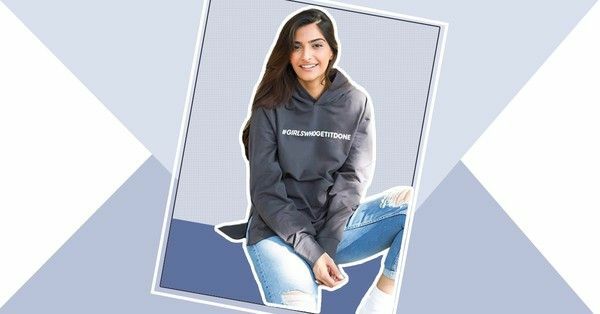 Sonam Kapoor’s Sweatshirt Collection Is SO US! Ah, October! I love how there’s a nip in the air these days. These posts from Sonam Kapoor have me looking forward to the chill of winter when I can wear soft comfy sweatshirts and be all cosy and toasty, but do it with a certain degree of style! 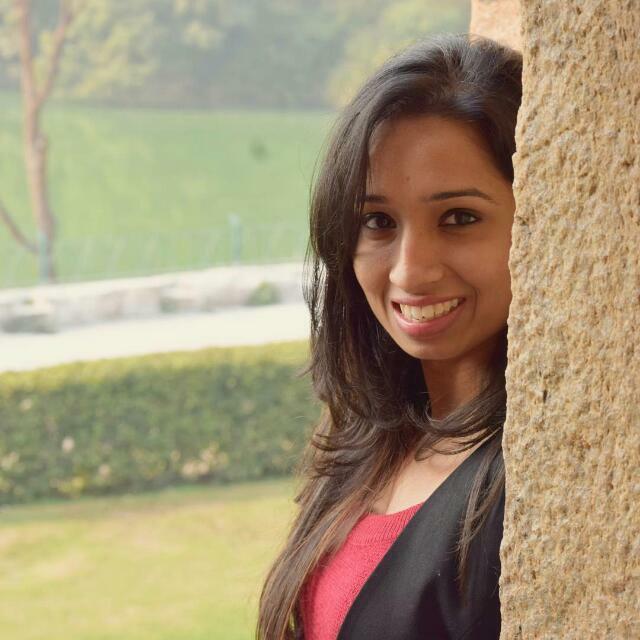 To quote her, “Style is an expression of your individuality. Who you are and what your mood is, is what you wear.” For this Rheson (geddit? ), she is our mood-dressing inspiration. Here are 3 of our #FallFavourite looks of the style diva that are cosy, fuzzy, and SO US! Mood: Monday morning. No wait, a winter Monday morning! Only a strong cup of coffee, and an extremely strong sweatshirt game can help you survive the day. And believe me girls, charcoal grey never disappoints! Look effortlessly chic with Girls Who Get It Done hoodie (Rs 1,049), Distressed Jeans (Rs 1,319) and White Sneakers (Rs 1,695) at work! When all else fails, it’s food to the rescue! While you cuddle up with your blanky, watch FRIENDS on your laptop, and munch on that giant nutella cookie, wear this shirt and wear it with pride! With this lovely pink Girls Who Eat Sweatshirt (Rs 1,049) we recommend a cute Popsicle PJ (Rs 695). Mood: A lazy Sunday afternoon or a ‘sick-leave’ you took, just because! Don’t let the blues get to you, ladies. Make the most of your day-off by wearing comfy PJs, curling up with a book, catching up on life, and doing absolutely nothing! Isn’t that just the best?! Sonam’s guide to procrastination: Comfort Zoning Sweatshirt (Rs 1,049) and Track (Rs 1,049) while you pet your dog in bed. So easy, isn’t it? Get your favourite fashionista’s everyday looks and nail them like a Sonam!